SCLakes.com • View topic - Big Sally!!! 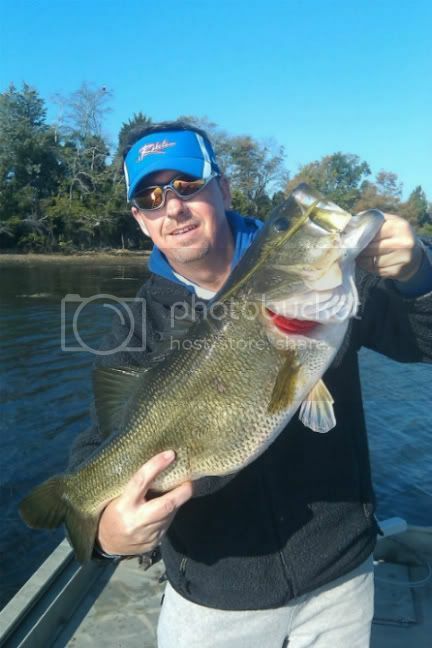 This is a pig I caught in mid Oct 2011 on Lake Moultrie, she weighed 10 lbs 4 oz & tried to take my Terminator Spinner bait from me. Post subject: Re: Big Sally!!! If you cant fish with the BIG DOGS stay on th dock! Shut up and FISH you big BABY!!! Thanks fellas! Of course this is the biggest Bass I've ever caught, my old record was a 9.6 lb bass that I caught when I was 16 so over 20 years ago. Needless to say I was all to pieces when I hooked up with this fish, especially when I told my partner to get the net & he said WE AINT GOT NO NET!! I just knew I was going to lose her but the Lord smiled down on me & allowed me the honor to catch this beautiful fish. Your fish is very big. I never fished this big size before. Can you tell me a technique?